This site may be hyper-linked to other sites which are not maintained by, or related to our website. Hyper-links to such sites are provided as a service to users and are not sponsored by or affiliated with this site or our website. Our website has not reviewed any or all of such sites and is not responsible for the content of those sites. Hyper-links are to be accessed at the user's own risk, and our website makes no representations or warranties about the content, completeness or accuracy of these hyper-links or the sites hyper-linked to this site. Further, the inclusion of any hyper-link to a third-party site does not necessarily imply endorsement by our website of that site. You hereby grant to this website the royalty-free, perpetual, irrevocable, worldwide, non-exclusive right and license to use, reproduce, modify, adapt, publish, translate, create derivative works from, distribute, perform, and display all content, remarks, suggestions, ideas, graphics, or other information communicated to our website through this site (together, hereinafter known as the "Submission"), and to incorporate any Submission in other works in any form, media, or technology now known or later developed. Our website will not be required to treat any Submission as confidential, and may use any Submission in its business (including without limitation, for products or advertising) without incurring any liability for royalties or any other consideration of any kind, and will not incur any liability as a result of any similarities that may appear in future website operations. You understand that our website cannot and does not guarantee or warrant that files available for downloading from the Internet will be free of viruses, worms, Trojan horses or other code that may manifest contaminating or destructive properties. You are responsible for implementing sufficient procedures and checkpoints to satisfy your particular requirements for accuracy of data input and output, and for maintaining a means external to this site for the reconstruction of any lost data. Our website does not assume any responsibility or risk for your use of the Internet. The Content is not necessarily complete and up-to-date and should not be used to replace any written reports, statements, or notices provided by website. Investors, borrowers, and other persons should use the Content in the same manner as any other educational medium and should not rely on the Content to the exclusion of their own professional judgment. Information obtained by using this site is not exhaustive and does not cover all issues, topics, or facts that may be relevant to your goals. YOUR USE OF THIS SITE IS AT YOUR OWN RISK. The Content is provided "as is" and without warranties of any kind, either expressed or implied. This website disclaims all warranties, including any implied warranties of merchant-ability, fitness for a particular purpose, TITLE, OR NON-INFRINGEMENT. Our website does not warrant that the functions OR CONTENT contained in this site will be uninterrupted or error-free, that defects will be corrected, or that this site or the server that makes it available are free of viruses or other harmful components. Bounty Adventures does not warrant or make any representation regarding use, or the result of use, of the content in terms of accuracy, reliability, or otherwise. The content may include technical inaccuracies or typographical errors, and Global Marketing Investments may make changes or improvements at any time. You, and not Bounty Adventures assume the entire cost of all necessary servicing, repair or correction IN THE EVENT OF ANY LOSS OR DAMAGE ARISING FROM THE USE OF THIS SITE OR ITS CONTENT. BOUNTY ADVENTURES MAKES NO WARRANTIES THAT YOUR USE OF THE CONTENT WILL NOT INFRINGE THE RIGHTS OF OTHERS AND ASSUMES NO LIABILITY OR RESPONSIBILITY FOR ERRORS OR OMISSIONS IN SUCH CONTENT. All of the information in this site, whether historical in nature or forward-looking, speaks only as of the date the information is posted on this site, and Bounty Adventures does not undertake any obligation to update such information after it is posted or to remove such information from this site if it is not, or is no longer, accurate or complete. BOUNTY ADVENTURES, ITS SUBSIDIARIES, AFFILIATES, LICENSORS, SERVICE PROVIDERS, CONTENT PROVIDERS, EMPLOYEES, AGENTS, OFFICERS, AND DIRECTORS WILL NOT BE LIABLE FOR ANY INCIDENTAL, DIRECT, INDIRECT, PUNITIVE, ACTUAL, CONSEQUENTIAL, SPECIAL, EXEMPLARY, OR OTHER DAMAGES, INCLUDING LOSS OF REVENUE OR INCOME, PAIN AND SUFFERING, EMOTIONAL DISTRESS, OR SIMILAR DAMAGES, EVEN IF BOUNTY ADVENTURES HAS BEEN ADVISED OF THE POSSIBILITY OF SUCH DAMAGES. IN NO EVENT WILL THE COLLECTIVE LIABILITY OF Bounty Adventures AND ITS SUBSIDIARIES, AFFILIATES, LICENSORS, SERVICE PROVIDERS, CONTENT PROVIDERS, EMPLOYEES, AGENTS, OFFICERS, AND DIRECTORS, TO ANY PARTY (REGARDLESS OF THE FORM OF ACTION, WHETHER IN CONTRACT, TORT, OR OTHERWISE) EXCEED THE GREATER OF $100 OR THE AMOUNT YOU HAVE PAID TO BOUNTY ADVENTURES FOR THE APPLICABLE CONTENT, PRODUCT OR SERVICE OUT OF WHICH LIABILITY AROSE. Trademarks, service marks, and logos appearing in this site are the property of Bounty Adventures. or the party that provided the trademarks, service marks, and logos to Bounty Adventures. and any party that provided trademarks, service marks, and logos to Bounty Adventures retain all rights with respect to any of their respective trademarks, service marks, and logos appearing in this site. Any passwords used for this site are for individual use only. You will be responsible for the security of your password (if any). Bounty Adventures will be entitled to monitor your password and, at its discretion, require you to change it. If you use a password that Bounty Adventures considers insecure, Bounty Adventures will be entitled to require the password to be changed and/or terminate your account. BY ACCEPTING THIS AGREEMENT YOU WAIVE AND HOLD HARMLESS BOUNTY ADVENTURES FROM ANY CLAIMS RESULTING FROM ANY ACTION TAKEN BY BOUNTY ADVENTURES DURING OR AS A RESULT OF ITS INVESTIGATIONS AND/OR FROM ANY ACTIONS TAKEN AS A CONSEQUENCE OF INVESTIGATIONS BY EITHER BOUNTY ADVENTURES OR LAW ENFORCEMENT AUTHORITIES. 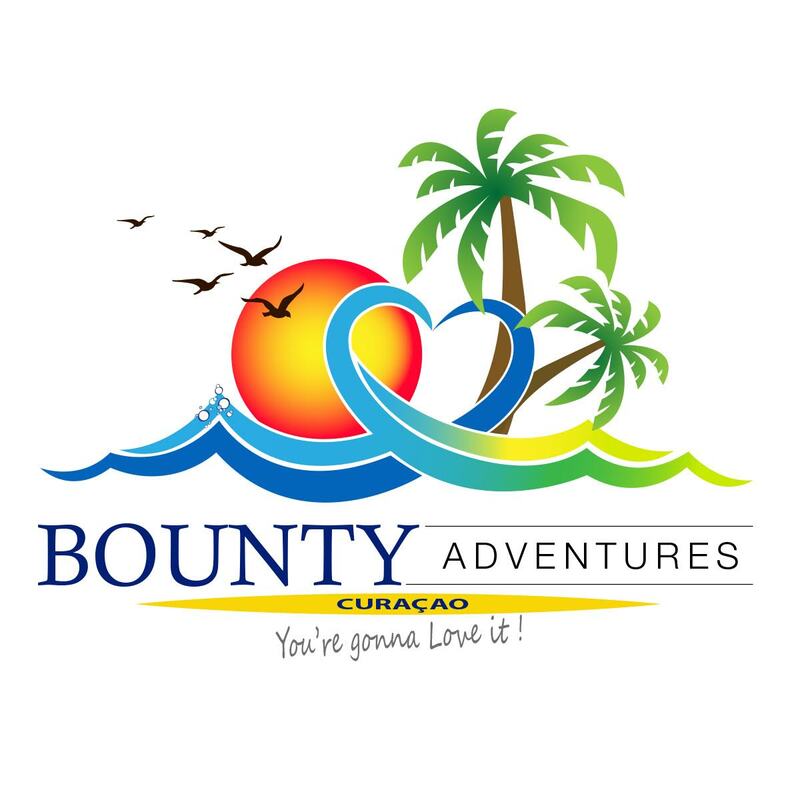 This website is owned or operated by: Bounty Adventures Curacao, Holy owned by Bounty Adventures BV. Groot kwartier, Curacao, Netherlands Antilles. Please note that "We", "Us", "Our" as used throughout this policy statement refer to Bounty Adventures. IMPORTANT! THESE TERMS OF SERVICE (TOS) GOVERN YOUR USE OF THIS SITE, BOUNTY ADVENTURES.